The Emergency Steering Committee (ESC) has decided to install defensive devices known as “Bearacades” in all classrooms to protect students from an intruder in the event of an active shooter situation. The devices were installed in classrooms in Kauke and Taylor Halls over Fall Break, and more will be placed in other classrooms in the coming weeks. By the end of this process, every classroom on campus and several office suites will be outfitted with the door barricades as the College works to improve its emergency response procedures. 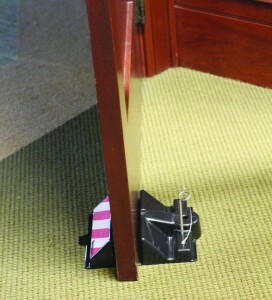 The Bearacade Door Control System is designed to slide under any door and is held in place using a pin that is inserted through the device and into a hole in the ground. In Wooster classrooms, the devices have been hung on hooks on the wall near the doorway, and small holes have been drilled in the floor to allow the pin to be inserted properly. 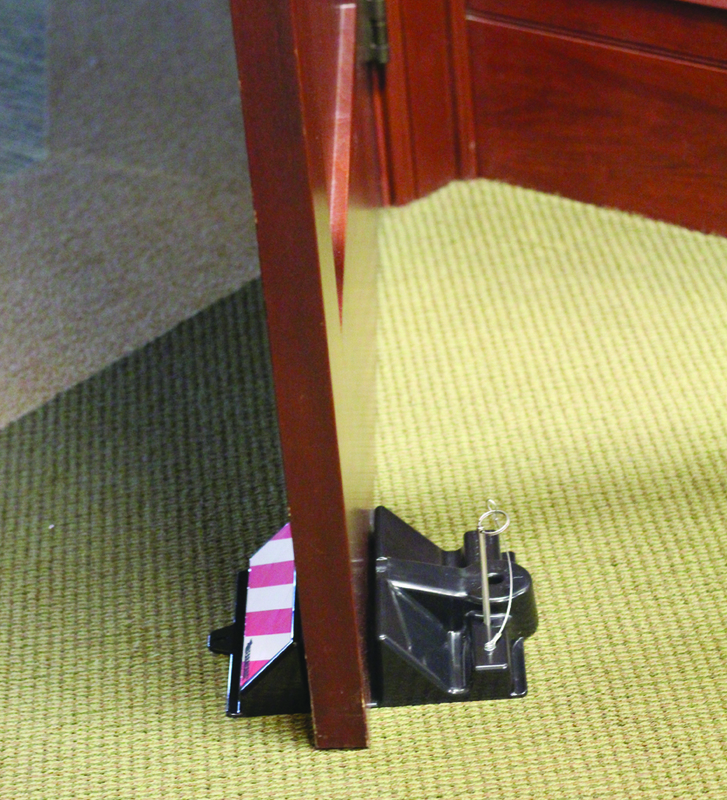 Bearacades prevent intruders from entering the room without requiring any change to the doors themselves — the device is not part of or attached to the door and would only be used in an emergency. SPS also hopes that the installation of barriers will act as a deterrent. “We are trying to make it difficult for someone with bad intentions, but it is not a panacea,” explained Glick. The decision to install these new devices came only weeks after colleges across the country received a series of threatening phone calls that claimed a shooting was imminent. Although no such incident occurred, the College sent out an email explaining to students what they should do in the event of an emergency. The procedures included barricading doors, turning off lights and sheltering in place. Further trainings will also be provided to faculty, staff and students in the coming weeks. Many members of the College faculty and staff have already received emergency response training, known as ALICE training. ALICE stands for Alert, Lockdown, Inform, Counter and Evacuate — the purpose of the training is to teach individuals what to do in an active shooter situation or other emergency. Amy Burroughs, an area director in the Office of Residence Life, underwent the training in September. Upcoming ALICE trainings, which will be offered by the Wooster Police Department, will be made available to some students and will include training on how to use the Bearacade devices.